10+ Awesome Things You Absolutely Must Do and Eat in Sydney | The Atlas Edit. When you come to Sydney, you can’t not see the Sydney Opera House. It’s like the Eiffel Tower of Paris, or the Big Ben of London. You just can’t miss it. Just take some time to walk around the area, marveling at this architectural wonder from all angles. You can also take a peek inside by watching an actual opera here (yes, an opera in the Sydney Opera House!! ), or by joining a guided Sydney Opera House Tour. You can check out what’s happening at the Opera House here. Psst! Some of the best views of the Sydney Opera House can be enjoyed from the ferry ride from the North of Sydney, so you could combine the Opera House with a trip to Taronga Zoo on the same day. Did you know that Taronga is an Aboriginal word meaning beautiful view? And this zoo sure packs a stunning view of Sydney’s cityscape. Aren’t you jealous of these giraffes that get to wake up to that every morning? It truly is a unique zoo and one of my favorites in the world! Of course, you probably wanna check out some of the famous native Australian animals, such as the wombats, koalas and kangaroos, and you sure can! Skip the lines and buy your tickets online. Another of Sydney’s unmistakable icons, the Sydney Harbour Bridge connects the South and Northside of Sydney. You can access it in a few ways. If you prefer having your feet on the ground, you can take a leisurely walk across the bridge which is 2.5km in length and will take you about an hour if you go at a leisurely pace. And it’s free! Or if you’re not afraid of heights, you can climb to the top of the bridge and get 360° of breathtaking views of Sydney. Don’t worry though, even if you are afraid of heights, you won’t necessarily have to miss out. There are different types of climbs you can choose from, and even a Sampler Climb that takes you halfway to the top! There’s also an Express Climb for those who are a little fitter or are keen for a challenge and on a bit of a time crunch. Darling Harbour is personally one of my favorite places to unwind in Sydney. There’s always something going on, and there’s plenty of restaurants and bars here albeit a tad bit touristy. If there’s one restaurant I’d recommend, it’d be Hurricane’s Grill and Bar where I’ve had the tastiest ribs ever. They have beef, lamb and pork ribs and even lobsters if that’s what floats your boat. You even get a paper bib because trust me, you’re gonna want it. This is also where you’ll find the SEA LIFE Aquarium, which is perfect if you have little ones in tow. Also, did you know that the largest IMAX in the world is right here in Sydney? And it’s in Darling Harbour! It’s definitely something you should not miss. Every other IMAX hall I went to after that just fell short. Oh, and did I mention how beautiful the area is during sunset? The warm shades of orange bouncing off the buildings surrounding combined with the harbor view is just ahh, magic. 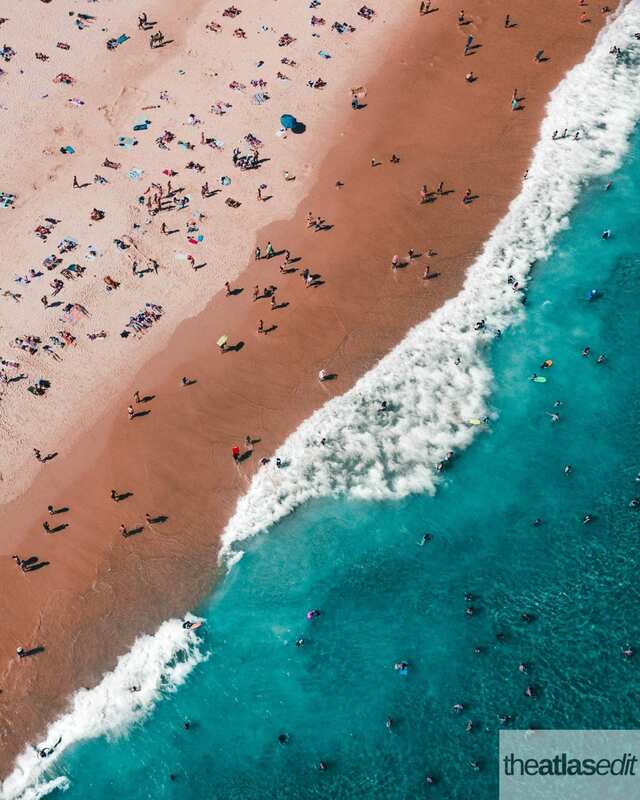 When planning a trip to Sydney, you have got to include the world-famous Bondi Beach on your itinerary, weather permitting. Whether or not you choose to dip your toes in the crystal blue waters, the area around Bondi Beach is still worth a visit. There are plenty of coastal trails you can do from Bondi such as the Bondi to Coogee trail and Bondi to Bronte walk. 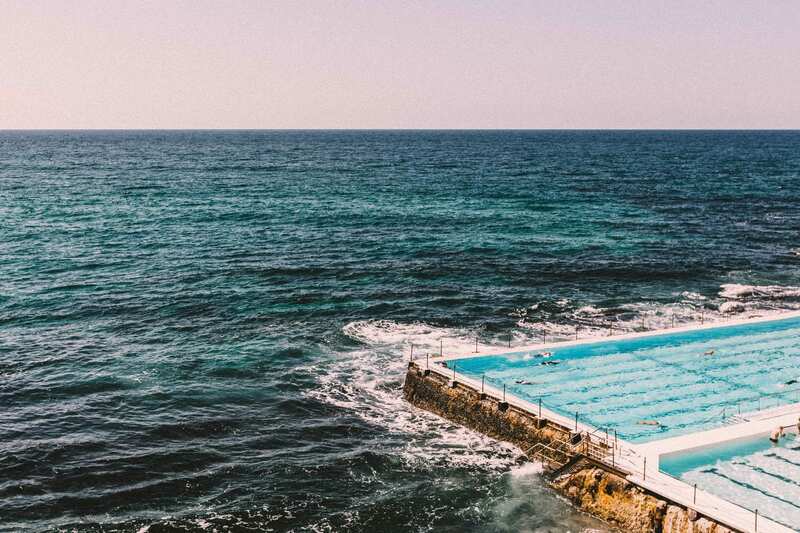 If you fancy a dip in a pool, or even just a drink, head on over to Bondi Icebergs, an outdoor swimming pool that’s situated right by the beach so you’ll have waves constantly crashing into the pool. One of the prettiest pools I’ve seen! There’s also a bistro and café where you can just sit back and enjoy the gorgeous view. Or just marvel at the architecture. Located right in the heart of the city, QVB still preserves its beauty, especially on the inside. Built in the 1800s, you’ll feel like you’ve just stepped into a time machine. Today, it is filled with some of Sydney’s best shopping. Step outside and you’re right where all the shopping streets meet. The Sydney Tower Eye is just a stone’s throw away where you can get another look at Sydney’s skyline. You’ll find plenty going on in summer here at Hyde Park, from yoga classes to large-scale food festivals, including my favorite Night Noodle Markets that happens around October every year. Be sure to check what’s happening when you’re visiting. If you’ve decided to take a walk across the Sydney Harbour Bridge, or a ferry across to the North side of Sydney, drop by Milsons Point. Why? Because you’ll get unobstructed views of the Sydney Harbour Bridge and the Sydney Opera House! Plus, you’ll likely get this place all to yourself. 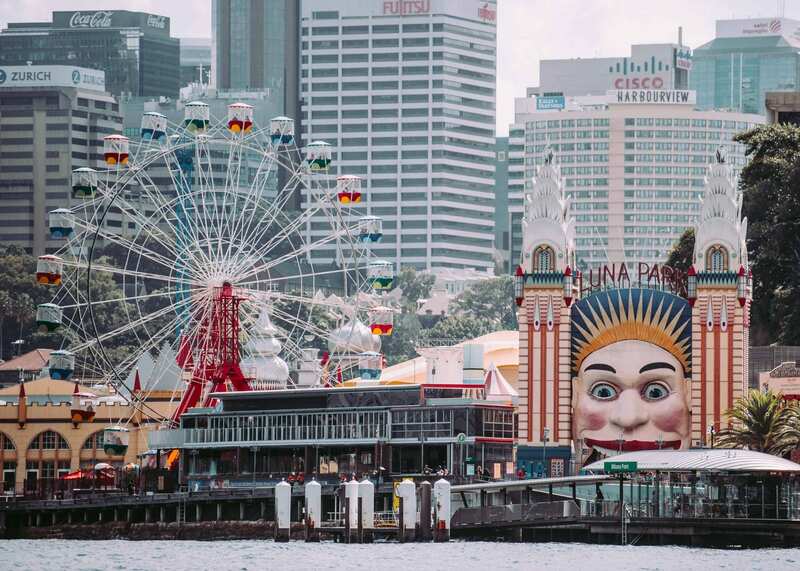 You’ll also find Luna Park here, a theme park that’s been here since 1935. A huge creepy clown face serves as its entrance, and you enter through the clown’s mouth which well.. is super creepy to me! But I promise, that’s the only creepy part of the park. It’s got lots of great rides that the kids will love! To me, eating in Sydney has always been an activity on its own. I could spend a whole day café hopping hunting for the best flat whites and smashed avo on toasts (read: a double-shot latte and avocado toast). Here are some of my happy food places! Maybe slightly touristy, but this is a fun place to pick out fresh seafood! Prices are reasonable, and there are picnic areas outside where you can lounge in the sun. Beware of those pesky seagulls though! Remember these guys from Finding Nemo?! $1 oysters during Oyster Hour and killer cocktails, what’s not to love? The cosy interior is a plus, and I had the best penne ragu here which I can’t get out of my head til this day. Every time the topic of dinner comes up, Mejico is sure to come up on top as an option. If Mexican is your jam, then you’ve got to pay a visit to Mejico. In fact, even if it isn’t, I promise you you’ll be a convert after a meal at Mejico. Delicious guac smashed right in front of your eyes and excellent sharing plates. My mouth is watering even as I’m typing this. Madang is a Korean BBQ place where you can get your BBQ fix, and get it good. This is some of the best Korean restaurants I’ve tried and still remains high on my list! If the idea of a cheese wheel gives you the happies (like it does to me), then you’ll love Buffalo Dining Club. Give me a cheese and prosciutto board and I’m a happy girl. Order the Cacio e Pepe where you’ll get the full cheese wheel experience. All you’ve have to do is say ‘when’! Honestly, it’s not hard to find good food in Sydney, and The Commons is a great start. Food: perfect. Ambiance: perfect. Service: perfect. Trust me, there’s nothing common about this place! If you find yourself in the North of Sydney and are looking for a (delicious) heart attack in a meal, you have to stop by Five Points Burgers. Probably one of the best in Sydney, these guys sure aren’t stingy on the good stuff. If you’re looking for some good burgers in the city, Chur Burger won’t disappoint. Order with a side of sweet potato fries and a milkshake! If you’ve been on Instagram, you’ve probably seen these mouthwatering watermelon cakes, and has become a must-have when you’re in town. Do yourself a favor and get yourself a slice of these little buggers! Strictly coffee, this tiny café tucked in The Strand Arcade in Sydney’s CBD was a must-visit for me every time I was in town. A great place to pick up a coffee while in town, but can get a little crowded so be prepared for a little wait. When coffee is good, you can’t keep it a secret! As if boasting spectacular food and coffee wasn’t enough, this café is set in an indoor garden that’s 100% Instagramable, and could arguably be Sydney’s prettiest café. So Surry Hills isn’t a restaurant but it is the coffee hub of Sydney, and also happens to be one of my favourite neighbourhoods! I could literally spend a whole day here hopping from one place to the other (and I have… more than once). Here are my top picks! I absolutely loved the spaciousness of this café and the coffee sure did not disappoint either. One of my favorite places for brunch and coffee! If the queue for Dominique Ansel’s cronuts in New York were way too absurdly long for you, then you could always settle for Newtown’s Brewnuts! And by settle, I really mean indulge. Prior to Shenkin, I’d never tried Israeli food before and after this, it’s safe to say I’m in love. I could have their pita bread and shakshuka for breakfast, lunch and dinner. If you want to know how scrambled eggs are supposed to taste, then you have to try Bill Granger’s scrambled eggs. They melt in your mouth and feel like an absolute dream. I’ve also heard the Ricotta Hotcakes are to die for. If you have a little more time on your hands, I highly recommend taking a look at Sydney’s surrounding areas and venturing out into greater New South Wales. Only an hour drive from Sydney, Blue Mountains is perfect if you want to get away from the city and into nature. Experience the peace and quiet of the mountains that give off a bluish hue because of the blue gum trees. There are plenty of hiking trails you can do, or visit Scenic World and ride the steepest incline railway in the world! Hunter Valley is one of Australia’s most famous wine regions, and if a day sipping on wine sounds like music to your ears, then you’ll love a day tour to the valley sampling wine, cheese and chocolate! I hope this guide has helped you decide on what to do in Sydney! Planning a trip to Sydney soon? Sydney is constantly evolving so there’s always something new popping up! Let me know in the comments below if I’ve missed anything! Covers: Plan Your Trip, Circular Quay, The Rocks, Sydney Harbour, City Centre, Haymarket, Darling Harbour, Pyrmont, Inner West, Surry Hills, Darlinghurst, Kings Cross, Potts Point, Paddington, Centennial Park, Bondi, Coogee, Manly, Day Trips from Sydney, Understand and Survival chapters. 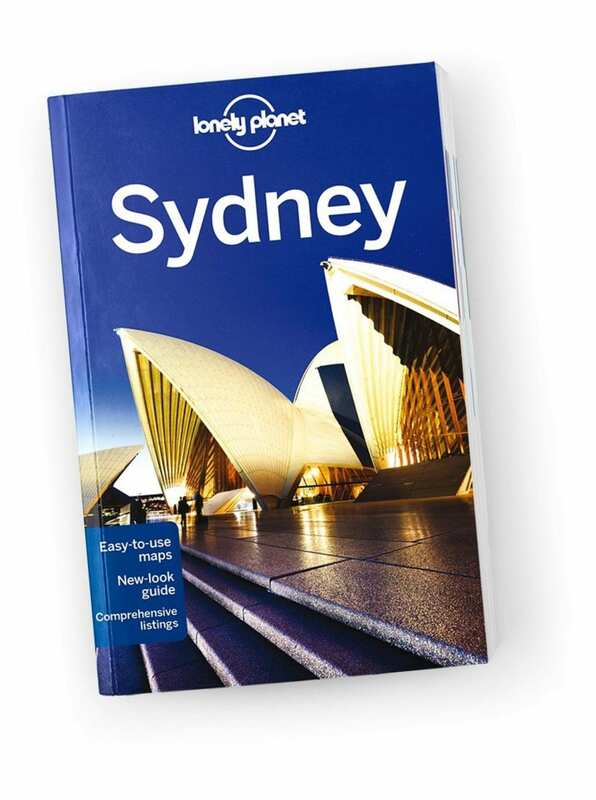 Further reading: Lonely Planet Sydney Travel Guide is an up-to-date guide on what to see and skip, and the hidden secrets Sydney holds. It features color maps and images, highlights and itineraries, insider tips, essential info, honest reviews, and cultural insights. ⇢ Don’t forget travel insurance! Travel insurance is the most overlooked purchase when traveling, but one of the most essential. 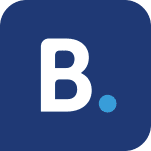 Anything can happen when you’re on holiday and you’d want to be covered in the case of travel mishaps such as flight delays, personal accidents or theft. Choose World Nomads Travel Insurance, designed by travelers for travelers. ⇢ Don’t leave home without a power bank! I am heading to Sydney for a few days soon and OMG, I can’t wait to try the food and and coffee shops that you recommend! I’m absolutely bursting with nostalgia having seen all that. I haven’t been to Sydney for around 20 years (although hoping to fix that next year). My mum was an ex-pat in Addie, and I took my first trip there with her – also the momentous occasion of my first avo on toast – and I’ve not looked back! Darling Harbour brings back loads of great memories, as does walking the Harbour Bridge (the bridge itself was plenty high enough for me!). The coffee place with the beautiful floral surroundings looks sort of familiar – has it been there for ages? Or possibly there’s something similar in Adelaide. Hoping to see a bit more of the city next year on the way to NZ. Sydney has so much to offer! I love adventure and food, so I’m sure I’d have a great time in Sydney – shame it’s such a long way from home! Great guide and I agree with everything you wrote lol. I used to live in Sydney, very close to the Sydney Fish Market. I haven’t been there for a few years, now I’m feeling homesick! Several years ago, my daughter participated in a study abroad May-mester in Australia. She came back with tales of an amazing destination, and from your photos, I can see that it IS a beautiful place. I hope to visit there one day. We went to Sydney last year, but it was only for a short layover. 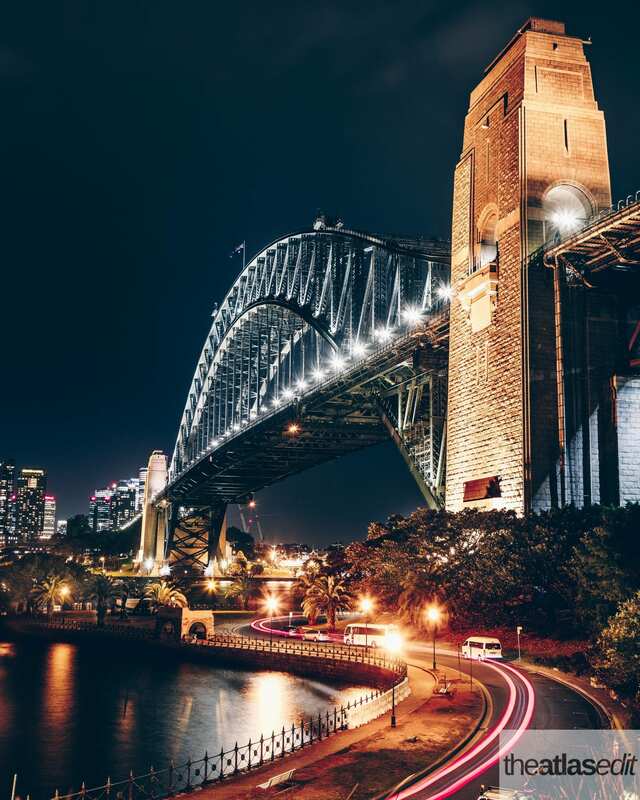 We need to go back to experience Sydney in the evening and see the city light up. I’m a huge hiking fan and heard good things about Bondi to Congee trail and the Blue Mountains. Can’t wait to go back to explore more. Thanks for the great tips! You should also try visiting during Vivid Sydney where they light up the city every night with amazing light installations! It’s absolutely beautiful. I loved how you began the post with a dash of humour. 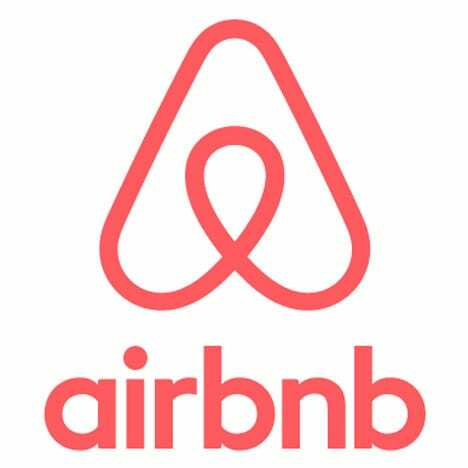 Very informative post and your love for your home is very well reflected in the way you have curatedand written the entire content for this post. Keep up the good work! I’m glad someone got my humor 😅 thanks for coming by! That watermelon cake looks so delicious, I’ve never heard of it before. Great list of food recommendations for Sydney!